Went out yesterday targeting Reds up the creeks with my micro skiff, which is able to fish in a foot of water when I ask her to. 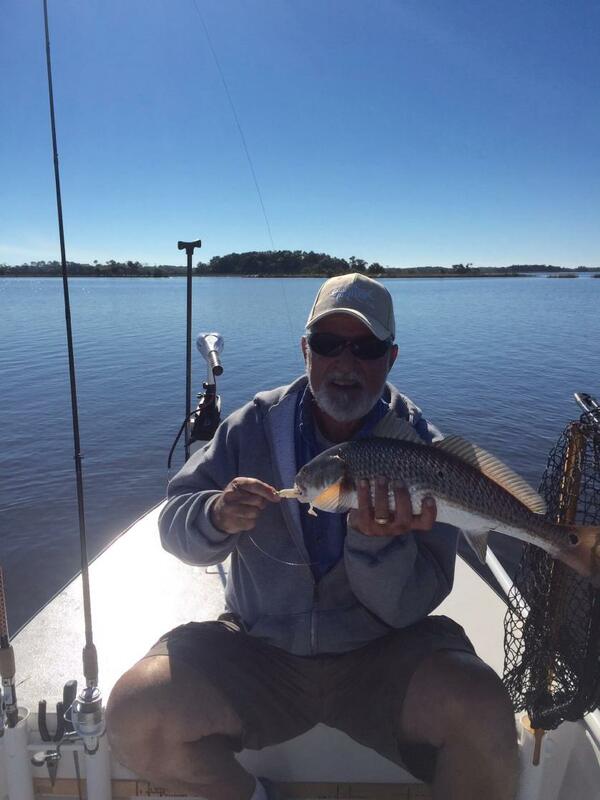 Caught 12 Reds half were keeper size, 2 were caught on Shrimp the rest were caught on padletail rubber. Fun day, fished both sides of the high tide water temp was 58-60. 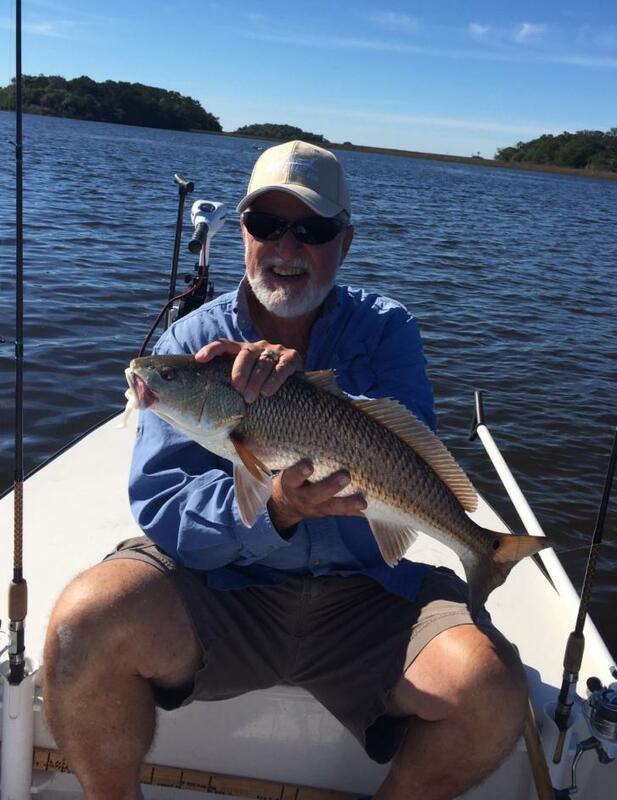 There you go...snook one day and reds a few days later. Nice reds! Love that lil boat! Thanks Billy as they say even blind monkeys find banners every once in a while. Thanks just added a trollingmotor a couple weeks ago now thinking of leaving push poll at home. Nice! That boat should get back in there. I was out Monday morning and the temp was 55 everywhere. Maybe it's warming a little. I just ordered a new LT 25 Gheenoe so I'll try to get out with you before it comes in (8 to 10 weeks). Then I'll take you out in it. Ha Billy it's funny I just looked up your boat A couple of days ago to compare it with my home built that looks a lot like it. Yours is 16' long and 56" beam midship mine is 16'4" long and 61" midship. The LT25 has tones of configuration which I built into my boat. Yours has a higher freeboard and a wider stern which I wish I had. You will love it for the type of fishing you like doing it's perfect for shallow water stand up fishing conditions of the big bend I especially love a 16 " shaft moter. Let me know when you want to go fishing I'm retired that means anytime you want. Nice report, love those Paddle Tail plastics. Nice boat. And good fishing. I have not had much luck the past couple of days. Your post and pictures make me want to get back out there. Thanks for posting.